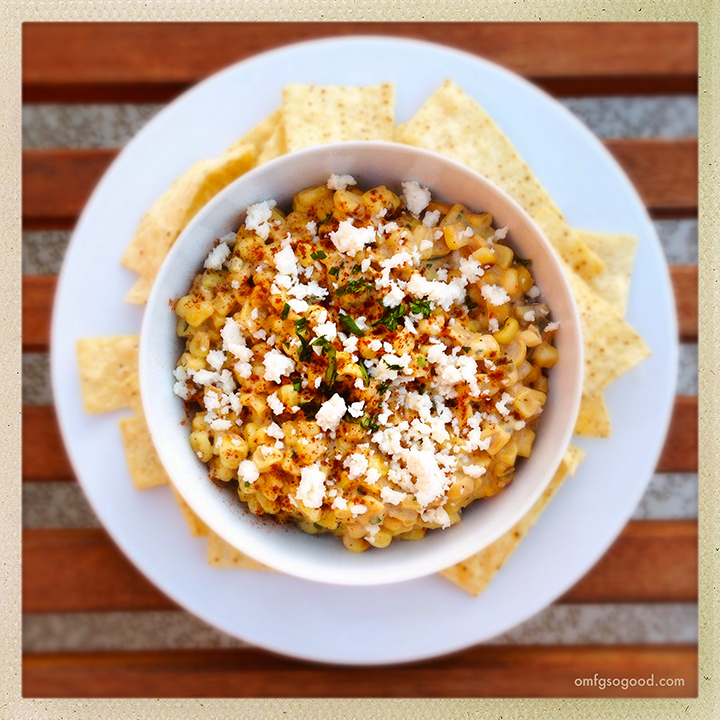 esquites (warm mexican street corn salad) | omfg. so good. I don’t get to see my big sister very often, but when we do get together it’s like no time has passed at all. She recently came to AZ to visit me and the boys for a week. Wait, let me rephrase that… she recently came to AZ to eat with me and the boys for a week. Yes, a much more accurate representation of what it’s like to ‘visit’ my brood. So many good restaurants, so very little time. While she was here, she and her friend spent a day in Sedona, more than likely getting slapped in the face by more Kokopelli themed touristy crap than should ever be allowed to exist until the end of time. Now, don’t get me wrong. Sedona is one of the most beautiful places I’ve ever seen… if you steer clear of the gift shops. On their way back to our Kokopelli-Free Zone, they stopped for more eating at the Elote Cafe. She then called me from the car to tell me that Maxx had eaten an entire bowl (serves 4) of warm corn salad for dinner because ‘it was just that good’, and that she had picked me up a copy of the cafe cookbook so I could make it for myself. Holy crap. Am I glad she did. Now, let me preface the recipe by saying that I heavily adapted from the original in the cookbook, because I’m just really into not doing what I’m told. But I can only assume that my version is just as good as theirs. Cough, cough… maybe even a tiny bit better since I added jalapeño and avocado to the mix. 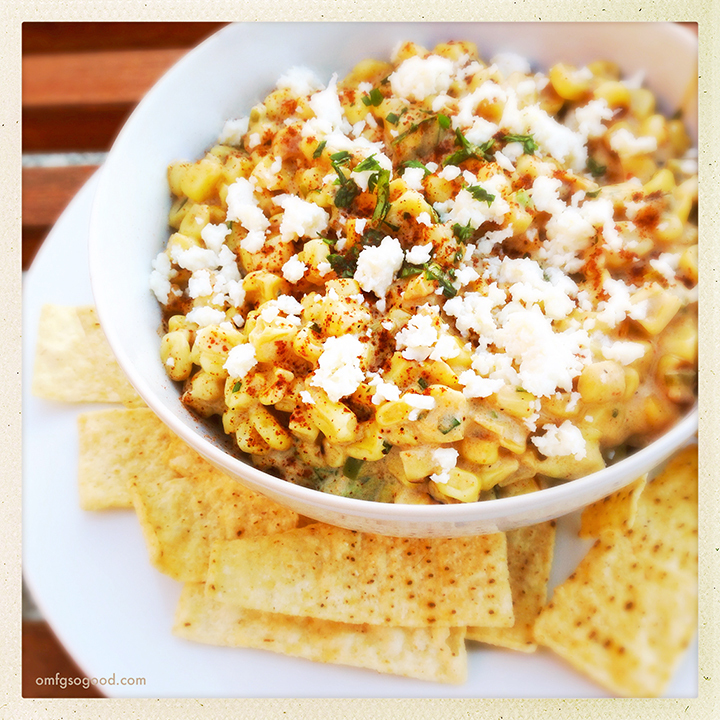 The recipe also called for fresh corn cut from the cob after roasting on a hot grill. But since it’s late fall, and more importantly, I’m lazy… I opted to caramelize some thawed frozen sweet corn with a tiny bit of butter in a cast iron skillet instead. And, last but not least, I wanted to keep my version vegetarian so I subbed out the small bit of chicken stock with vegetable stock. Melt the butter in a large cast iron skillet over medium-high heat. Saute the thawed corn in the butter until it starts to brown a bit (1 – 2 minutes tops.) Keep an eye on it, you want it to slightly char but not burn. If it starts to pop, you’re taking it too far. Reduce the heat to medium-low and add the diced jalapeño. Yes, I would have eaten the entire bowl myself as predicted if Jonny wasn’t there throwing elbows for his fair share. Oh, and Lisa… we’re paying you back for the fantastic cookbook by sketching you out a custom tattoo design. Of a Kokopelli playing a flute. your photos are so great! I would try making this, love corn and everything else you have in there! Still waiting for the rainbow kokopelli sketch!!!!!! Pingback: beer braised pork tacos with avocado crema | omfg. so good.